Aside from my dad’s mashed potatoes, these are the best potatoes I’ve ever had. The insides are creamy, yet airy, while the outsides have a satisfying, crunchy texture that is beyond words. I’m not really a big “steak-and-potatoes” type of gal, but these little babies may make be a believer. These will disappear off your table in the blink of an eye, so make a big batch for the whole family. Are you ready for the secret ingredient? Promise that you won’t freak out and leave? I know that the word “ew” is just dancing around in your brain right now, but give it a chance! Cooking with animal fat is a delicious way to add flavor and doesn’t contain any trans-fat. It’s also a good source of saturated fat, which has been found to be good for in moderate amounts. Check out this article for more information. I also use this stuff when making tamales, pie crust, enfrijoladas, and sometimes for tortillas. Don’t be afraid! You can use it just like you would oil, and since it has a high smoke point which makes it great for frying. I imagine that rendered duck fat would be incredible in this recipe. 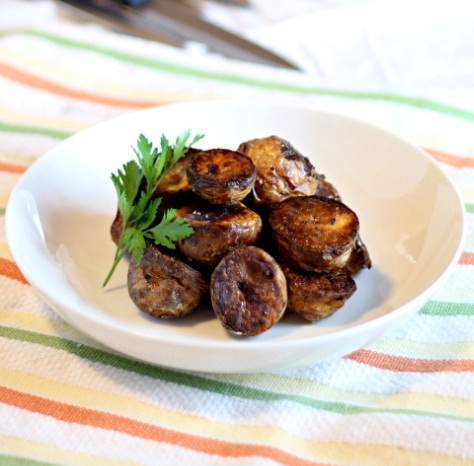 To make these potatoes, halve some small golden potatoes (yukons work well) and toss them into a pot of cold water with some salt and vinegar. Bring it to a boil, reduce to a simmer, and cook the potatoes for about five minutes. Drain well, then toss with some lard and seasonings before roasting on a sheet pan in a 500 degree oven for about 40 minutes, turning the potatoes halfway through. Easy as pie! Preheat your oven to 500 degrees Fahrenheit. 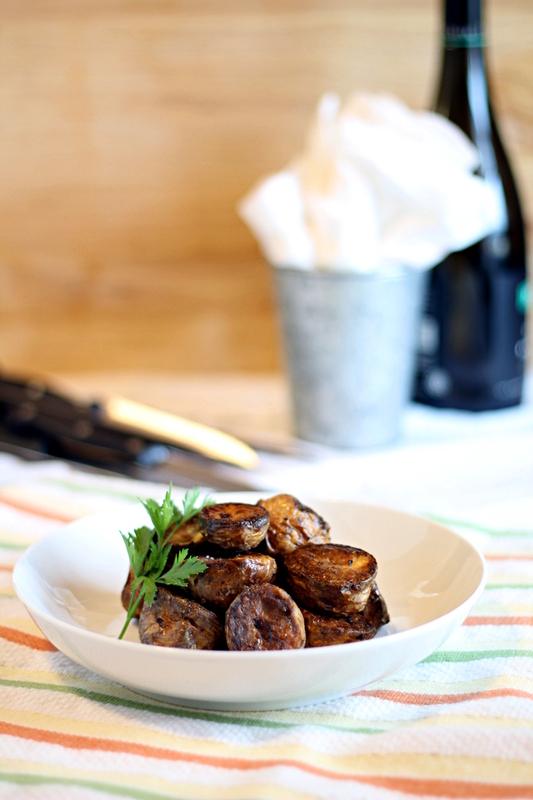 Place the rinsed and halved potatoes into a pot with enough cold water to cover them by about an inch. Add the vinegar and salt, then bring to a boil. Turn down the heat to reduce the water to a simmer, then set a timer for 5 minutes. After 5 minutes, drain the potatoes, then return them to the hot pan. Stir the potatoes around for a minute or two with a wooden spoon to loosen up some of the skin and add a bit of texture to the outsides. Add the lard, black pepper, oregano or thyme, and salt, then toss well to coat. Spread the potatoes out in a single layer on a rimmed baking sheet. Roast in the center of the oven for 20 minutes, turn the potatoes using a metal spatula, and roast for another 15-20 minutes until golden brown. Serve warm. Those look delicious! And duck fat fries are so freaking tasty. Hi, I very much liked your recipe, and I am not 'grossed out" by lard as you are quite right-it is a very good source of saturated fat provided it is from farm raised and preferably pastured pigs. 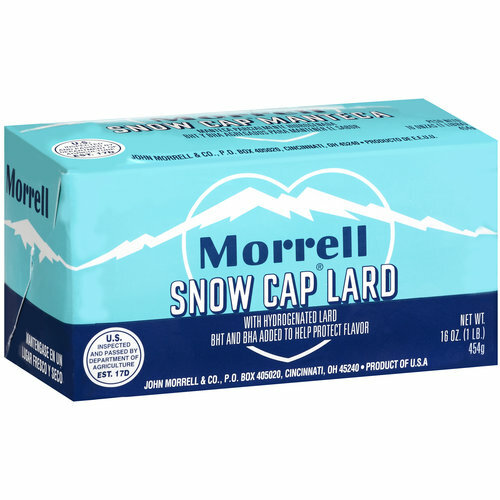 Store bought lard contains the very questionable preservative BHA and BHT- which have been shown to cause cancer in mice and have other endocrine disrupting effects. But if you can obtain pork fat from a farmer, you can easily render it yourself and freeze the pure white lard for use in recipes-I do this myself and it's wonderful. People should not be afraid of traditional healthy fats and I thank you for your recipe and links to a very good article!